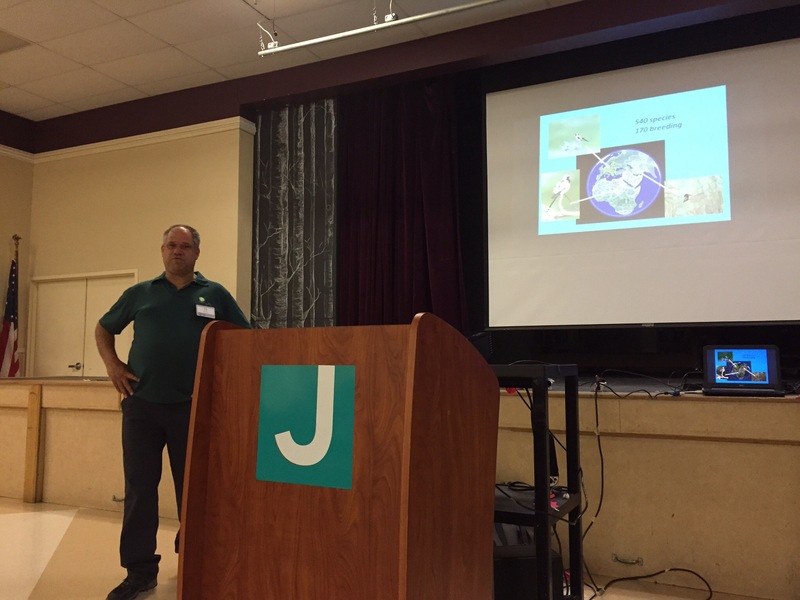 My husband and I were recently inspired to take a long drive to Central Florida, several hours north of us, to hear two wonderful experts from the Society for the Protection of Nature in Israel (SPNI) speak about ‘birding and habitat restoration along Israel’s Rift Valley, a major flyway of the world.’ Dan Alon, Director of the Israel Ornithological Center (IOC), and Noam Weiss, Director of the International Birding & Research Center Eilat (IBRCE), were on a special U.S. trip, and Lakeland, Florida was one of their stops. After leading a birding walk in a nearby park, they gave a fascinating presentation about the vital role Israel plays in the migratory routes of millions of birds from Europe, Asia and Africa. I’m very excited to actually be in Israel right now for a month, and will be visiting the Eilat Birding Center very soon! I will post more after my visit, but in the meantime, be sure to check out the websites of SPNI, the IOC and the IBRCE. 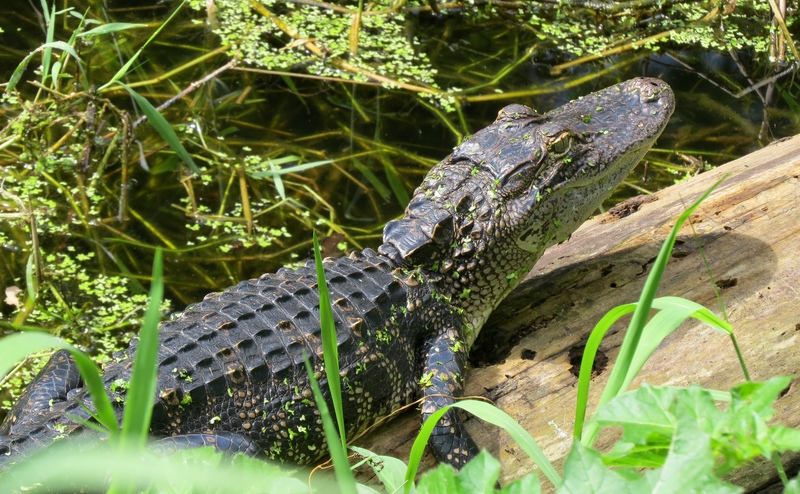 Since we’d travelled so far for the SPNI talk, we had decided to visit my favorite preserve in Central Florida – and what a day it turned out to be! 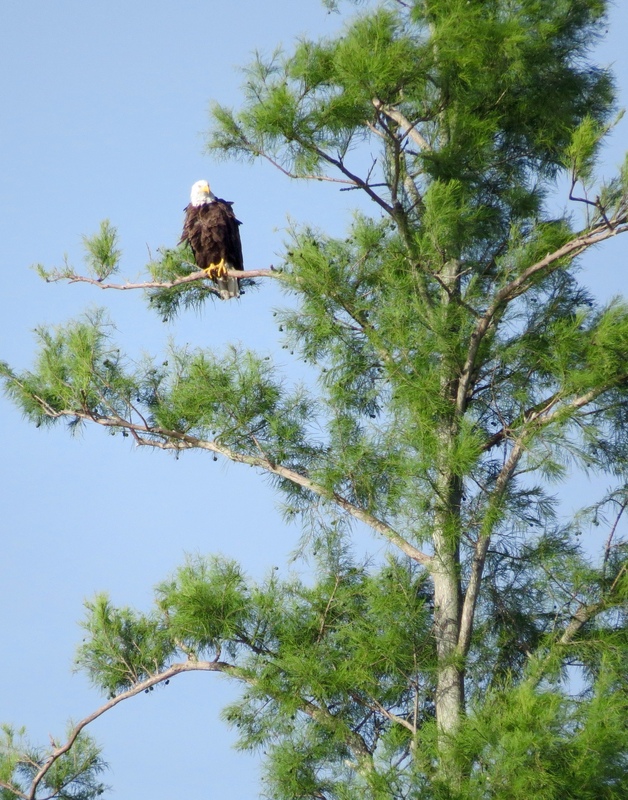 Most exciting of all was a real first for me ….way, way in the distance, we spotted an adult Bald Eagle, high atop a tree. 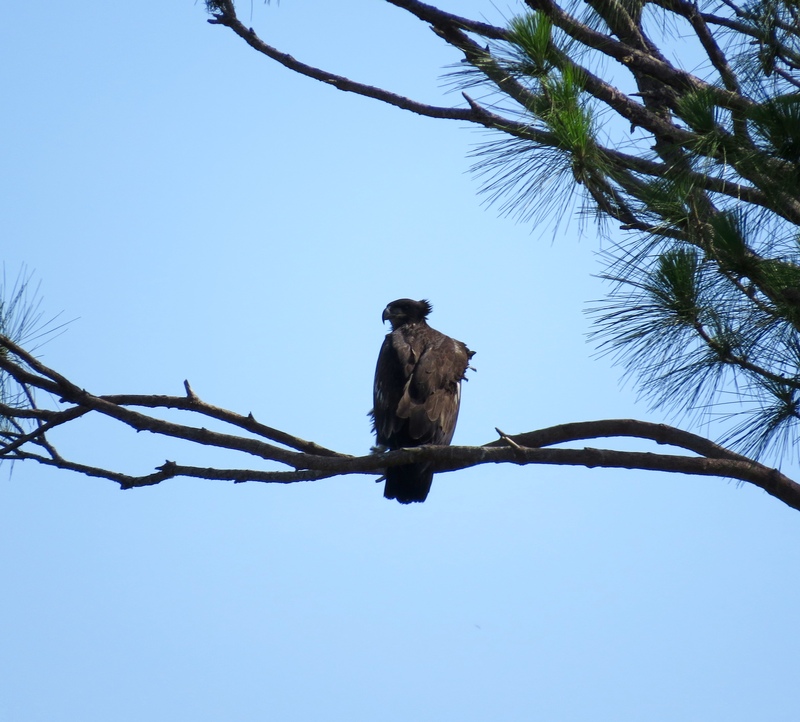 We were able to approach the roost a bit closer on the other side, and then there was a juvenile Bald Eagle, sitting out on a branch. What a thrill! 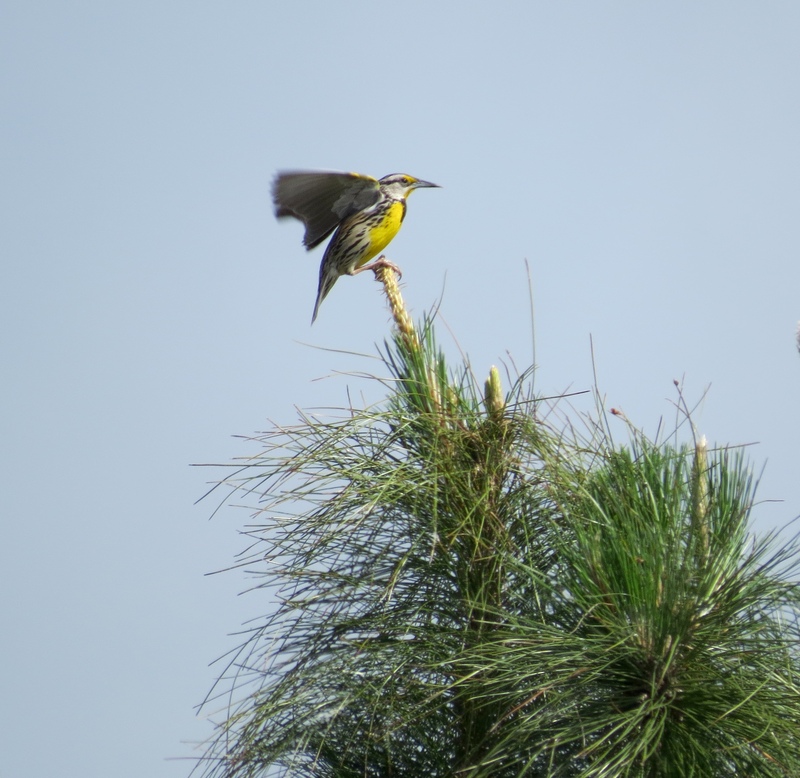 This Eastern Meadowlark above was a Life bird for me. We were told that these lovely songbirds are seen less frequently now due to threats to their habitat. 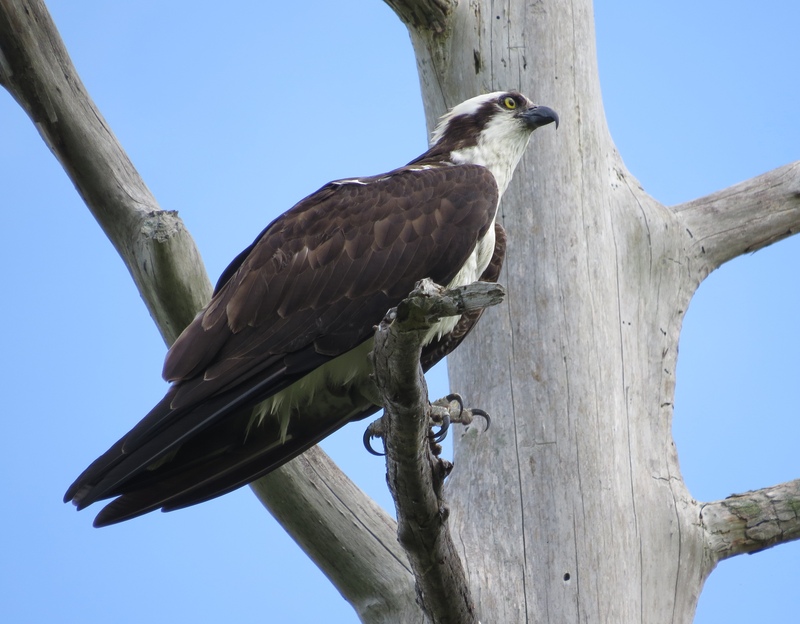 Several Osprey were on the hunt, watching for an easy catch among the plentiful fish in the ponds below. 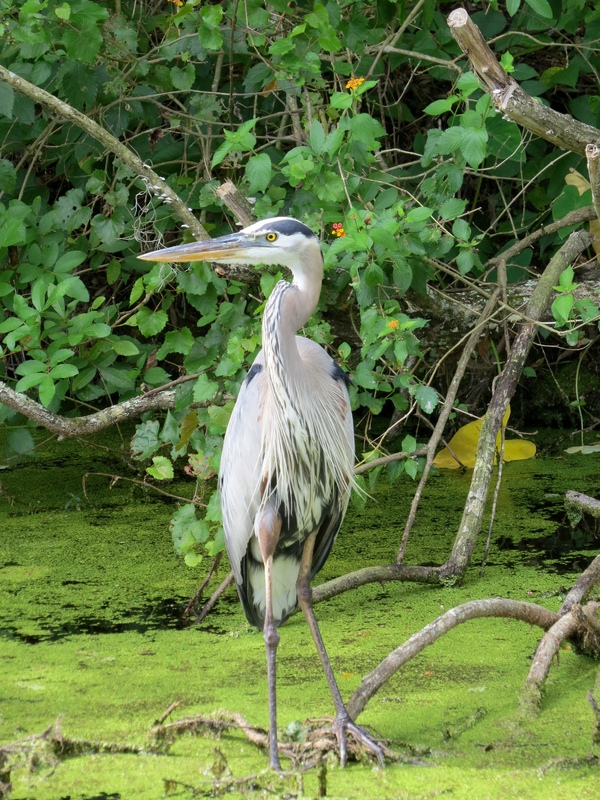 A trip to this preserve wouldn’t be complete without the Great Blue Herons adorning the swamp, the noisy but handsome Limpkins, and the Alligators, large and small, at every turn. 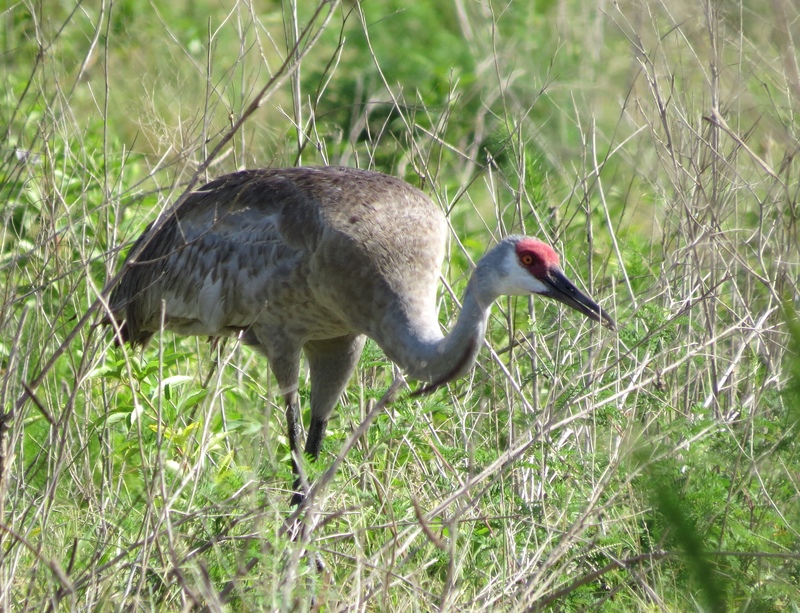 We were even greeted by a family of Sandhill Cranes, foraging out in the open near the trail. What a day! 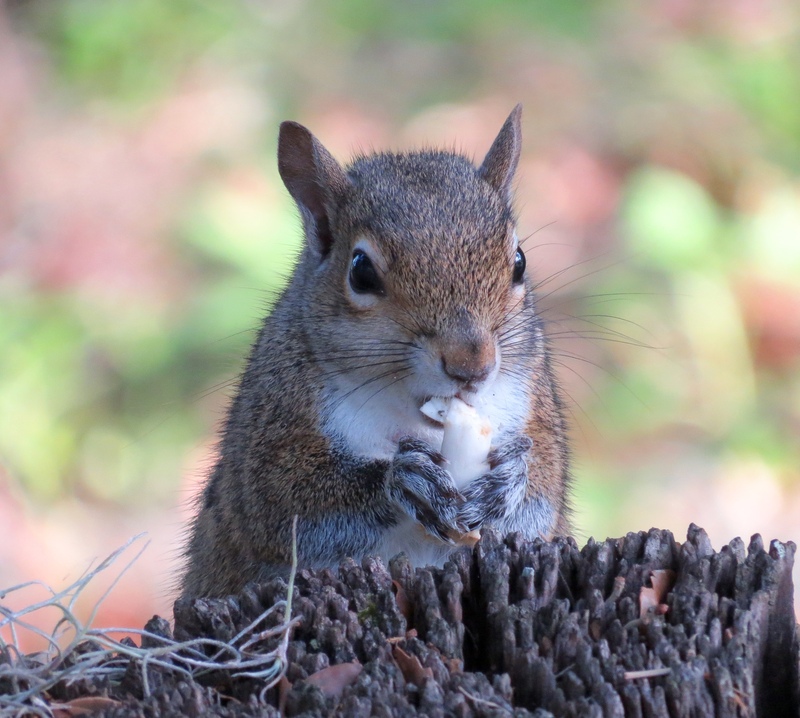 This adorable Gray Squirrel popped up to say hello both when we arrived and when we left. Our 2-day road trip was definitely worth the drive! 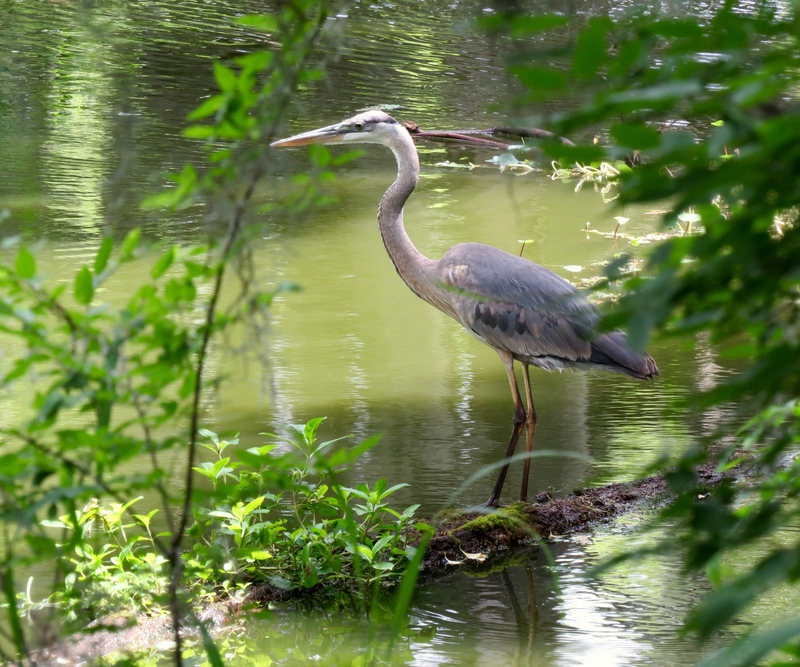 This entry was posted in Birds and tagged American Alligator, Bald Eagle, Eastern Meadowlark, Gray Squirrel, Great Blue Heron, Israel, Limpkin, Osprey, Sandhill Crane. Bookmark the permalink. Looks like you both had a wonderful time, and your pics are lovely. ‘Lifers’ (first time birds) are always a great buzz of excitement for us also. I am encouraged and delighted that there is an organisation seeking to preserve and conserve birds in Israel. When I was in Israel a few years ago, I was saddened that I did not see many birds at all, mostly mynas and crows and suchlike, but no native birds, even in the national park. It was a great trip, AB, thanks! I think there are lots of mynahs, crows, bulbuls, and sparrows throughout Israel. But there is truly a spectacle of birds during spring & fall migrations. 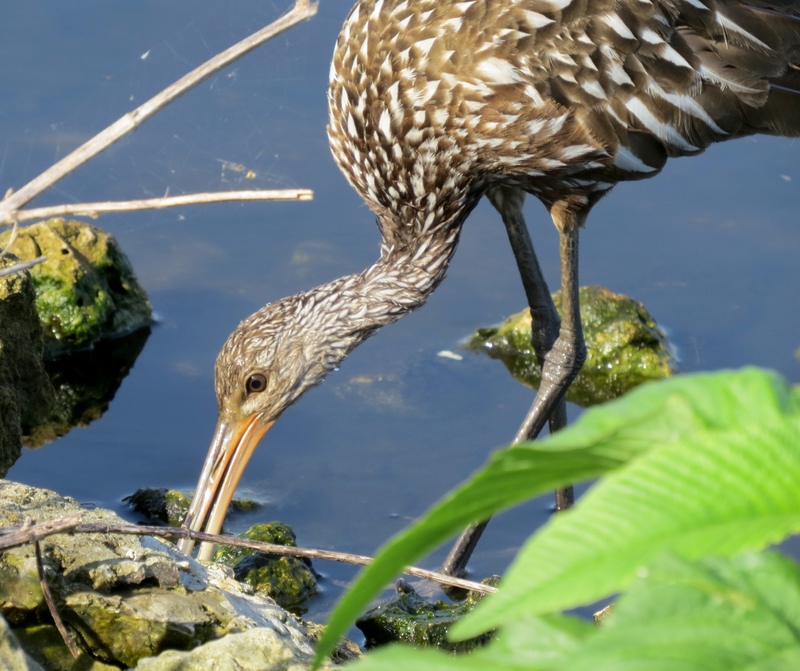 We’ve seen cranes, herons, storks, egrets, kingfishers and more – both in the Huleh Valley up north, and Hoopoes, Lapwings, Turtledoves, and more along the Yarkon River in Tel Aviv and elsewhere near the Mediterranean Sea. My favorites are the beautiful Palestinian Sunbirds, which I’ve seen in Jerusalem and in the hills where my son lives, too! I haven’t been to Eilat in many years, and am excited to visit there next week. 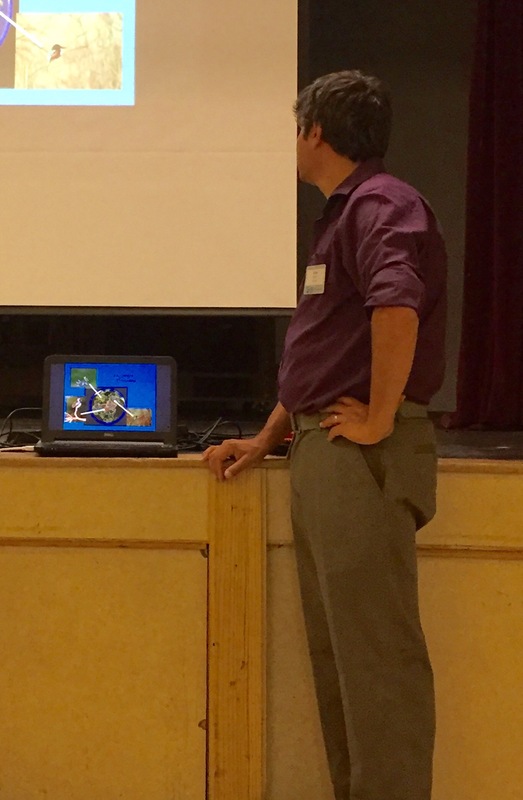 Our speakers told us that their recent Bird Count resulted in a record number of 250,000 Honey Buzzards! I surely hope you do! Enjoy England and I look forward to hearing about and seeing photos about the wetlands around London. What a great trip for a whole month! 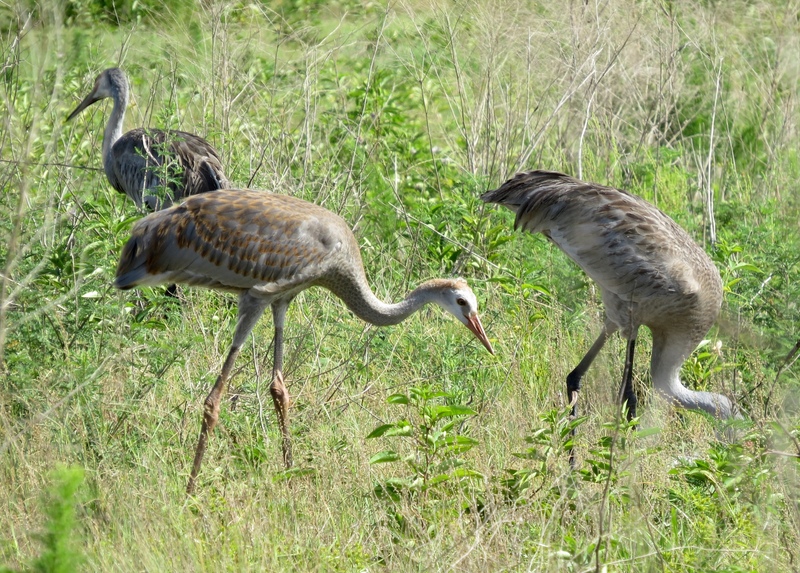 Wonderful images too of birds in FL. I saw a Meadowlark two years ago and it was a thrill, so I know how you felt. Eagles are always great birds to see too. So glad to hear your thought on the Meadowlark, Donna. It was very special for me, but I only realized that they were rare to see when a volunteer at the preserve told me it was the first one that even she had seen in quite awhile. 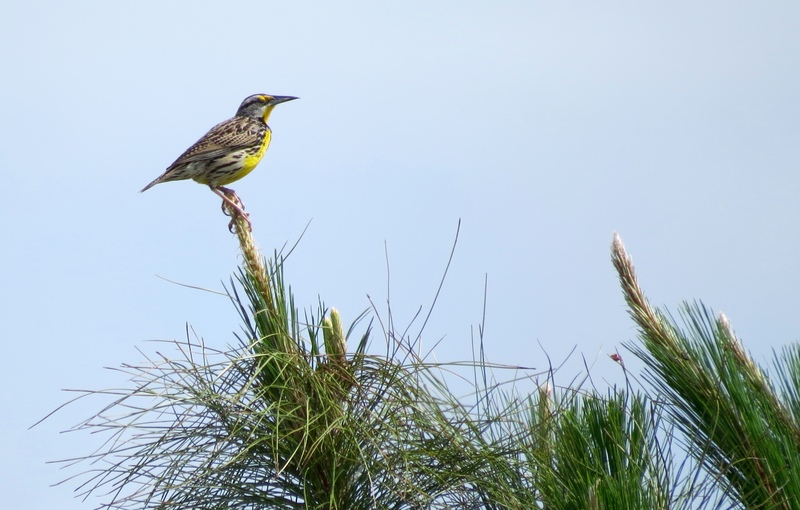 Love that shot of the Meadowlark! Thank you so much Pat! It was quite exciting for me to see it close enough to get a photo. And what a beautiful song he was singing! I haven’t seen your recent posts on my reader 😕 I can’t bring up the images on my iPhone, will be back later, Bj.